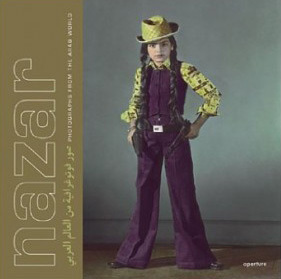 Nazar: Photographs from the Arab World. Noorderlicht Festival Catalogue. Edited by Wim Melis. Essays by Michket Krifa, Negar Azimi, Issam Nassar, Isolde Brielmaier, Issa Touma, Peter Lewis and Sherifa Zuhur. Aperture, New York, 2005. 268 pp., 168 color and 132 duotone illustrations, 9x9″. Originally published in the Photo-eye Booklist, Fall 2005.